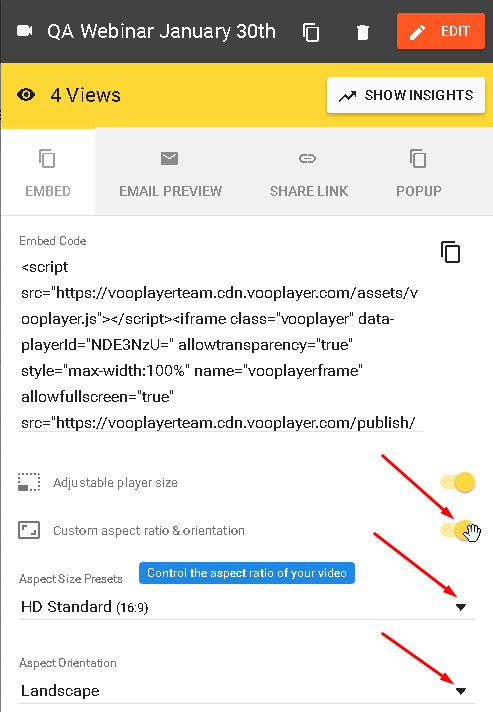 Using the Embedded option under PUBLISH will give you several options to customize your player and make sure it is looking just the way you like it on your page. 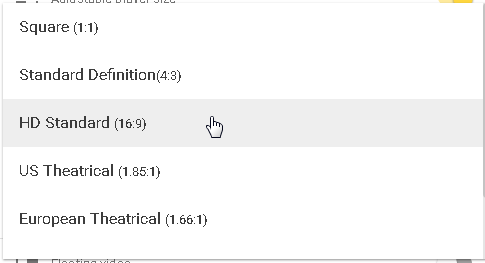 If activated, your video will resize to the element in which it is embedded. 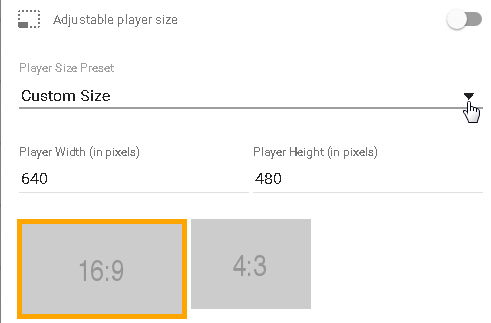 If you deactivate this option, you will be allowed to edit the actual size of the player shown on your webpage in addition to selecting one of the predefined resolutions and aspect ratios. This option allows you to control the aspect ratio (format) and the orientation of your video. 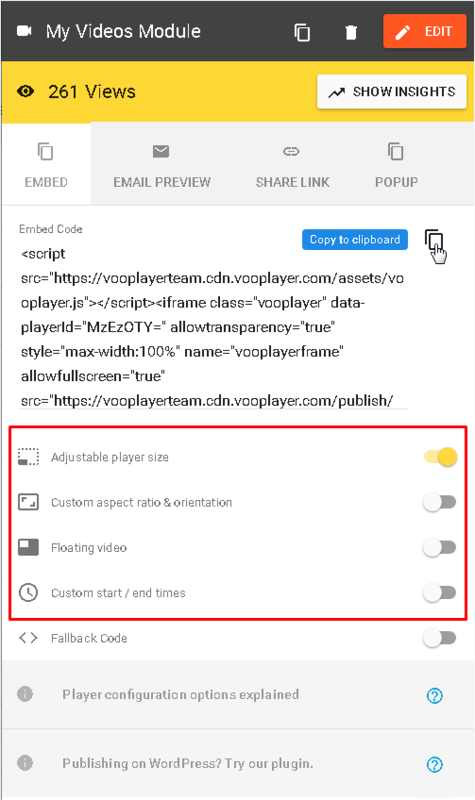 The Floating Video option will let you set the player to float as the user scrolls down the webpage always having the video play even when checking other content on your site. You can customize the width and the position of the player here.